I recently attended Interop ITX in Las Vegas and one of the breakfast briefings at the show was hosted by IDC. The topic was centered around the intelligent automation of networks, and more specifically the rise of "intent based networking." Intent based networking (IBN) is defined as: a network management system that uses advanced automation, visibility and analytics tools to implement, secure and dynamically maintain the network operator's desired state of the network. Essentially, this means NetOps teams are able to leverage automation to help support cloud adoption, hybrid networks, and general "digital transformation" by looking at three core pillars across the enterprise: 1) Advanced Automation, 2) Increased Visibility, and 3) Actionable Analytics. Not only does this bring increased IT and network complexity to an organization, it also creates challenges across teams from security to infrastructure to applications. Something is needed to help manage all of these added challenges. Why Does Intent Based Networking Matter for Remote Sites? First, we need to start with enterprise WAN. Remote site WAN deployments were common when enterprises first needed to connect branch offices to the corporate datacenter. However, WAN is not built for cloud, and in today's industry a lot of branch offices are increasing the use of SaaS applications. This makes remote site WAN workflows difficult for enterprises to use due to the lack of agility, flexibility, and efficiency. The last bullet touches on an interesting point about the branch office evolving into a software-defined branch. Rohit predicts that in the next five years, SD-WAN will expand to incorporate "SD-Branch" with highly virtualized functions vs. hardware appliances at branch/remote sites. Virtual networking and functions makes the branch more dynamic and responsive from an architecture standpoint. What's Next for Intent Based Networking? IDC made a few predictions about what the industry can expect in the years to come. Their predictions centered around network visibility and its importance for organizations looking at "digital transformation" or cloud architectures. Rohit believes network visibility is a gap in cloud and digital strategies, but is the key to automation and intent based networking. These predictions, along with Rohit's explanation of intent based networking and the evolution of SD-branches, opened my eyes to improvements on the horizon for enterprises looking to answer some of the challenges faced by their current remote site workflows. 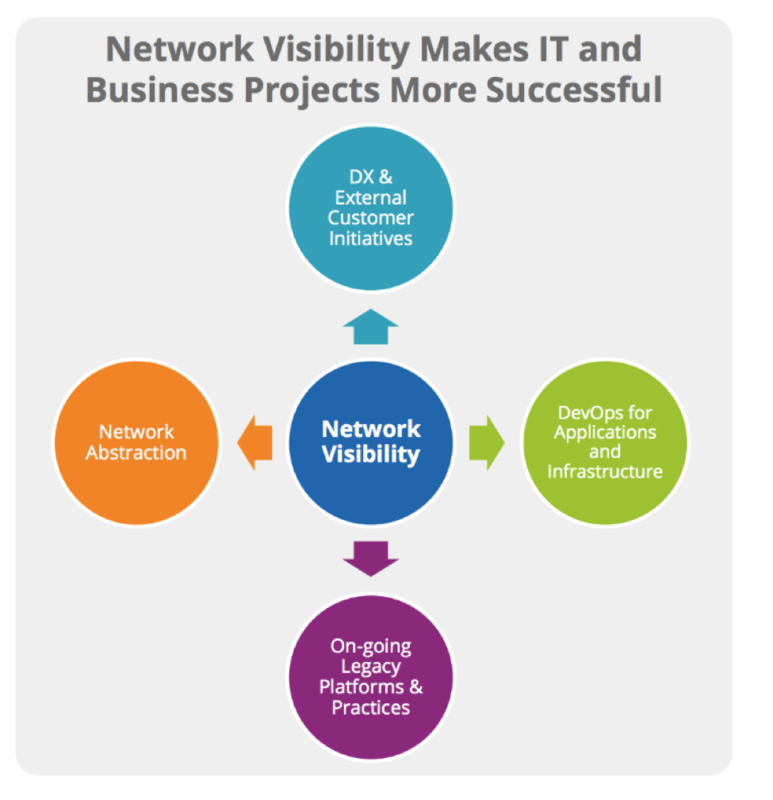 The biggest takeaway, however, was this: network visibility is critical for all companies looking to digitally transform or improve their cloud architecture deployment. Those of you facing pressure to support massively complex infrastructures should start by taking a good, hard look at your network monitoring capabilities.